The Practitioner's Handbook on International Commercial Arbitration provides concise country reports on important jurisdictions for international arbitral proceedings, as well as commentaries on well-known arbitration rules which are frequently incorporated in international legal agreements. Most international commercial contracts now include an arbitration clause as an alternative to resolving disputes in the state courts.This second edition of the Practitioner's Handbook includes newly updated country chapters, expanded international coverage and commentary on the most important arbitration rules worldwide. It is written by world-leading arbitration practitioners and academics and combines a practical approach with in-depth legal research and analysis of important national and international case law. 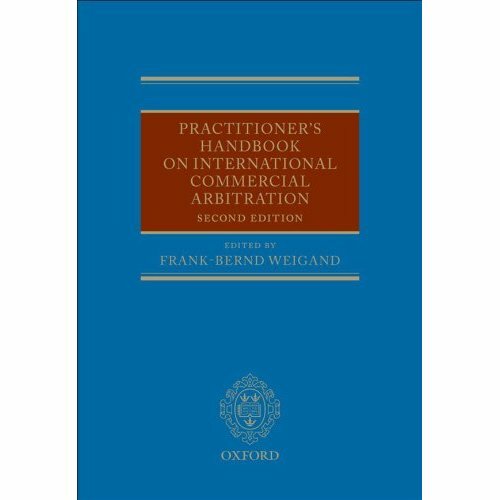 The book is unique in its coverage, providing uniformly designed country reports and thorough commentaries on internationally recognized arbitration rules in just one volume. There are individual chapters for the following countries: Austria, Belgium, China, England, France, Germany, Italy, Netherlands, Singapore, Sweden, Switzerland, USA. Each country report covers: jurisdiction, the tribunal, arbitration procedure, the award, amendments and challenge to the award, liability of arbitrators and enforcement of national awards; and provides details of national arbitration laws, arbitral institutions in the jurisdiction, model arbitration clauses and a bibliography, including a list of key judicial decisions.